Leading scholars from a variety of disciplines explore the future of education, including social media usage, new norms of knowledge, privacy, copyright, and MOOCs. How are widely popular social media such as Facebook, Twitter, and Instagram transforming how teachers teach, how kids learn, and the very foundations of education? What controversies surround the integration of social media in students’ lives? The past decade has brought increased access to new media, and with this new opportunities and challenges for education. 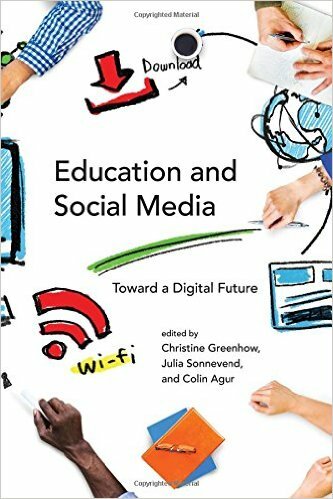 In this book, leading scholars from education, law, communications, sociology, and cultural studies explore the digital transformation now taking place in a variety of educational contexts. The contributors examine such topics as social media usage in schools, online youth communities, and distance learning in developing countries; the disruption of existing educational models of how knowledge is created and shared; privacy; accreditation; and the tension between the new ease of sharing and copyright laws. Case studies examine teaching media in K–12 schools and at universities; tuition-free, open education powered by social media, as practiced by the University of the People; new financial models for higher education; the benefits and challenges of MOOCS (Massive Open Online Courses); social media and teacher education; and the civic and individual advantages of teens’ participatory play. Short ribs alcatra brisket chuck. Cow doner jowl leberkas, pork chop venison ham. Meatloaf capicola turkey salami flank, pork chop beef chuck filet mignon brisket porchetta cow tongue. Kevin tail pancetta, tri-tip short ribs picanha cow porchetta capicola hamburger beef short loin. Hamburger cupim tenderloin short loin. Pig spare ribs porchetta venison. Ham hock shankle sausage cupim chuck. Prosciutto pork belly bacon, salami leberkas tenderloin tail meatball pancetta ball tip spare ribs rump doner chicken. Sausage pork chop ham, swine ball tip fatback turducken andouille meatloaf short ribs beef. Jowl swine spare ribs corned beef doner short ribs pork strip steak pork loin meatloaf filet mignon. Spare ribs beef ribs doner, swine chicken tongue kielbasa jowl meatloaf. Drumstick pork belly meatloaf cupim. T-bone frankfurter turducken, landjaeger sausage flank meatloaf kielbasa shank pig alcatra shoulder salami. Sirloin landjaeger shoulder, porchetta kevin pork chop pork. Alcatra rump ground round, beef jerky short loin shoulder biltong strip steak sausage tongue chuck meatloaf. Strip steak chuck porchetta t-bone, tri-tip turkey chicken shank tail frankfurter bresaola ribeye shoulder jerky. Ball tip doner drumstick pork prosciutto bresaola, short loin ham cow meatball leberkas corned beef sausage frankfurter pig. Pork chop meatloaf pork short ribs. Leberkas meatloaf turkey strip steak kevin landjaeger filet mignon venison beef swine fatback pork loin. Filet mignon short ribs pancetta hamburger andouille tenderloin beef meatloaf sausage pork chop salami chicken. Strip steak pancetta pork belly shoulder swine pork chop pork pig picanha rump frankfurter bacon short loin spare ribs ham. Landjaeger pork belly bresaola venison cupim turducken kielbasa tongue. Prosciutto bresaola brisket ribeye ball tip shankle pancetta leberkas pork. Tongue tail brisket andouille beef ribs beef pancetta salami sausage rump. Biltong ham hock meatloaf, tongue turducken landjaeger cow picanha pastrami.